Usually when I visit a city for second time, I try to see new things. However, there are certain places that I go back to again and again. 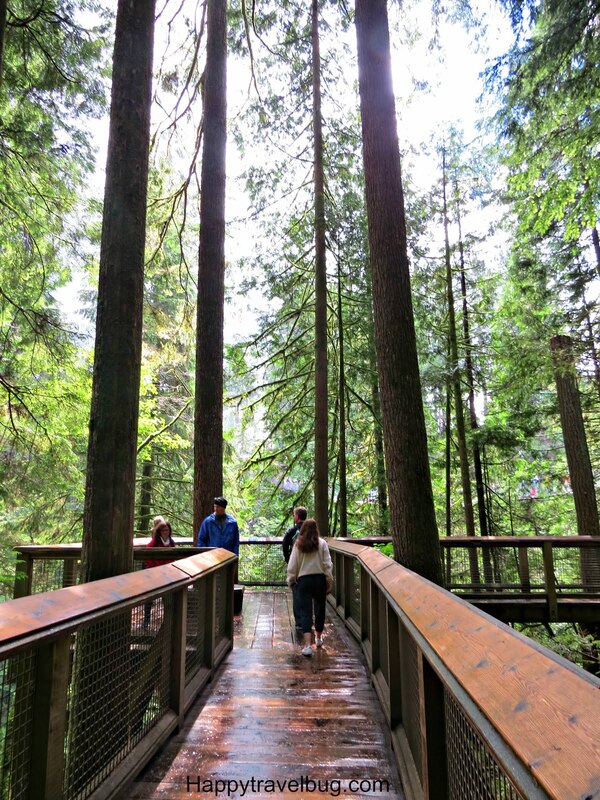 Capilano Suspension Bridge Park is one of those places. The feeling I get being completely surrounded by nature, but also having unique things to do, like crossing suspension bridge, just make it a favorite park for me. The view from the bridge is beautiful. We were there on a cloudy day, but even then it was gorgeous. 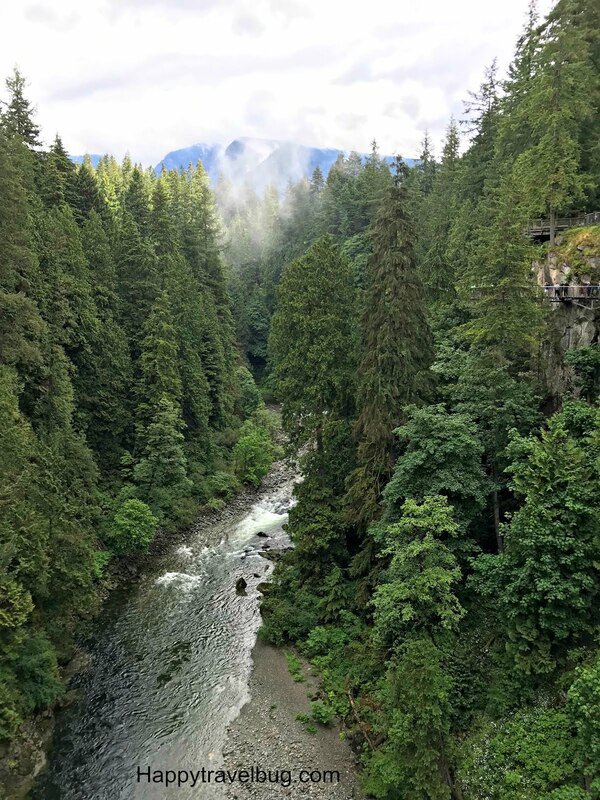 This is a coastal rainforest area so there might be rain, but it brings amazing trees and green, green, green everywhere. 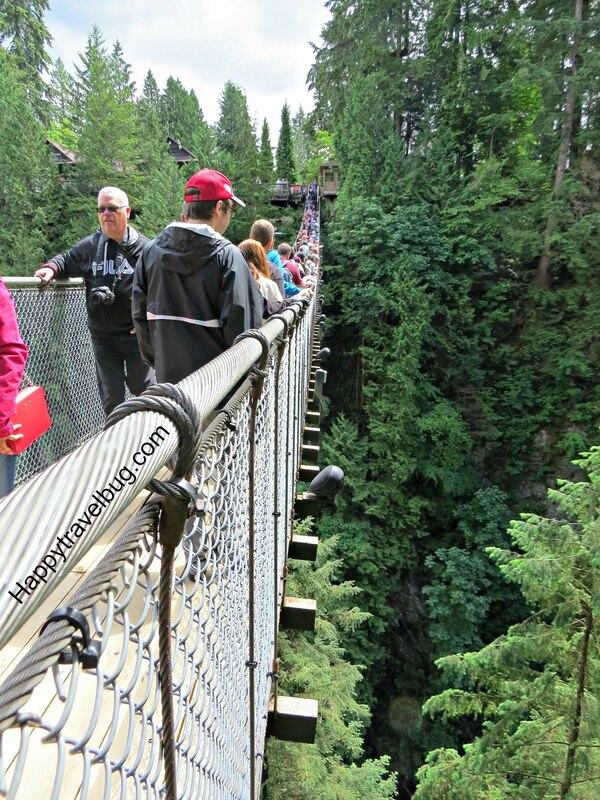 There are usually lots of people on the bridge, so you have to move along or hold everyone up. I’ve only been in the summer, so I’m not sure of crowds during other times of the year. 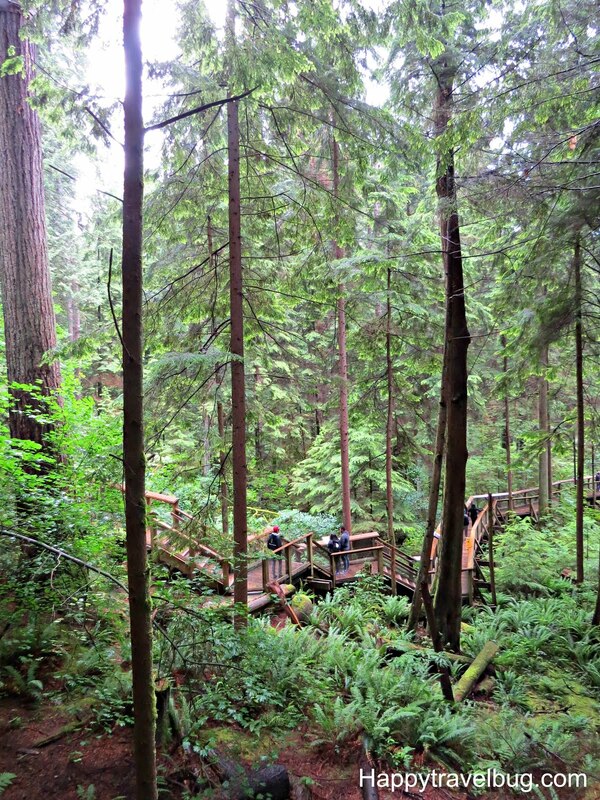 After you cross the bridge, you walk into the living rainforest. For me, it’s just magical. I love to walk through shady forested areas. Being surrounded by nature in that way makes me happy. Notice my owl shirt that I wore especially for this occasion. 🙂 There are actually owls and other birds in a section called Raptors Ridge. It’s an educational program where they bring different raptors in daily during the summer. 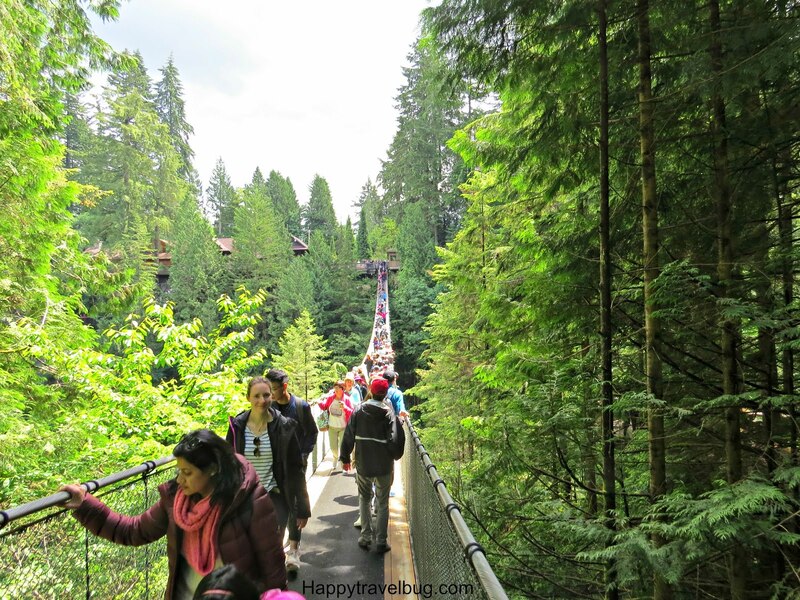 There are several others parts to Capilano Suspension Bridge Park that I will be highlighting in the next few posts. 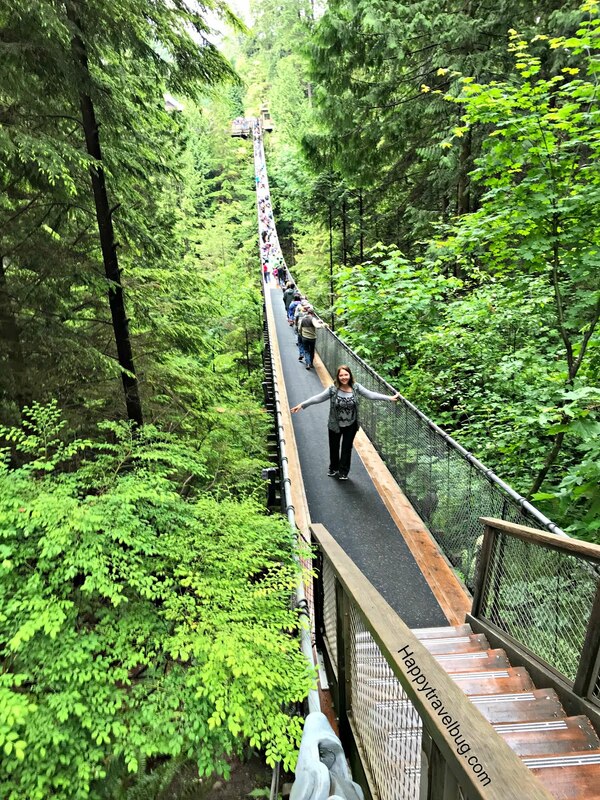 But I highly recommend a visit if you are in the Vancouver, Canada area. Have you ever been? 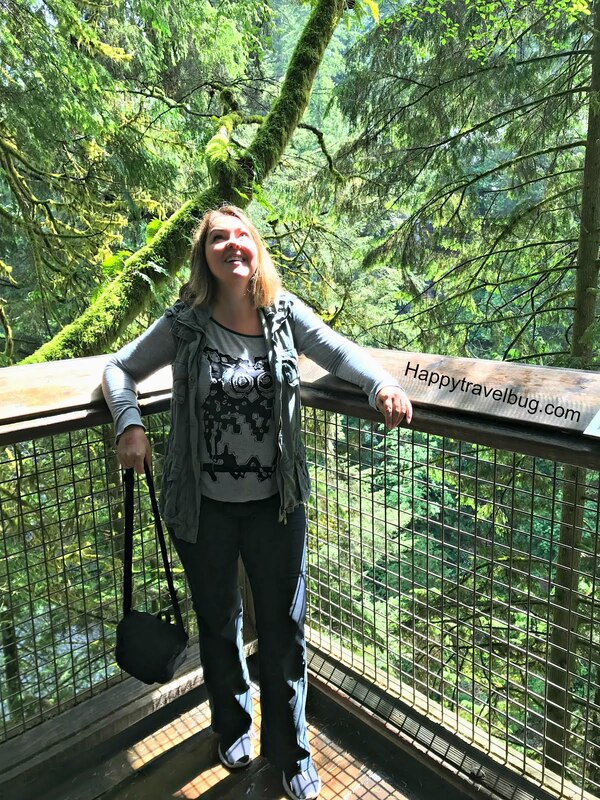 What is one of your favorite nature walks/trail?